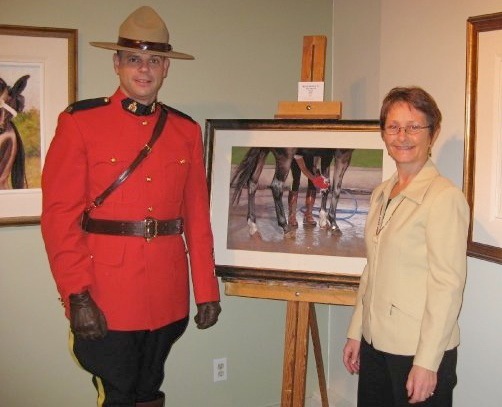 At some point in my later teen years, my interest in art equaled the interest in horses. This led me to study at the Banff Centre for the Arts, the University of Victoria and finally at the prestigious Art Center College of Design in Pasadena, California. Afterwards, my work led me to the graphics industry working in print shops and advertising firms, then to owning and managing a gallery and framing business in California. 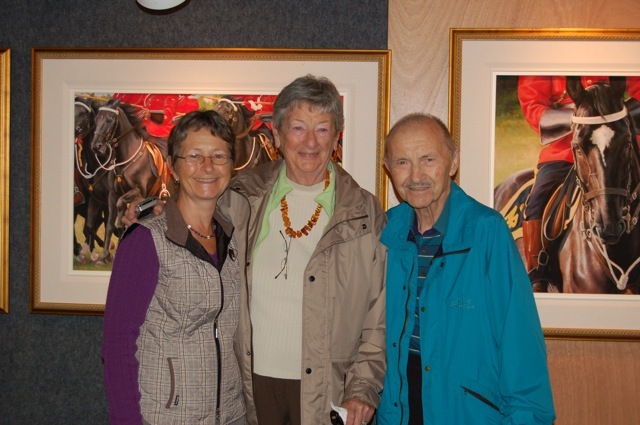 I have the great honour of a family that has supported my career from the beginning. 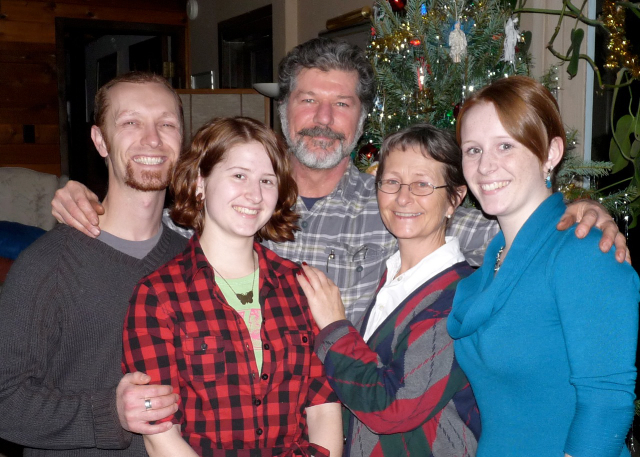 Firstly with my parents (my original fans), who encouraged me and made my educational choices possible, to my immediate family. My 3 children have grown up in a working studio environment and have helped tirelessly at numerous trade shows and still give their time in support of my endeavors. They are the joy of my life. My husband, partner and best friend, Paul S. Smith is directly responsible for the growth in my artwork. His involvement in the studio has cleared the way for me to focus my time and energy at the easel. His foresight envisioned the Musical Ride Series which, to date is the most significant body of work that I have produced. We are a team. I have an extensive Curriculum Vitae (if you want to see it, email me: joan[at]joanlarson.com) with numerous professional accomplishments and associations. But that is past history and today is what interests me most. As an artist, I believe that I am just now hitting my stride . . . everything so far has led me to the work that I am doing today. 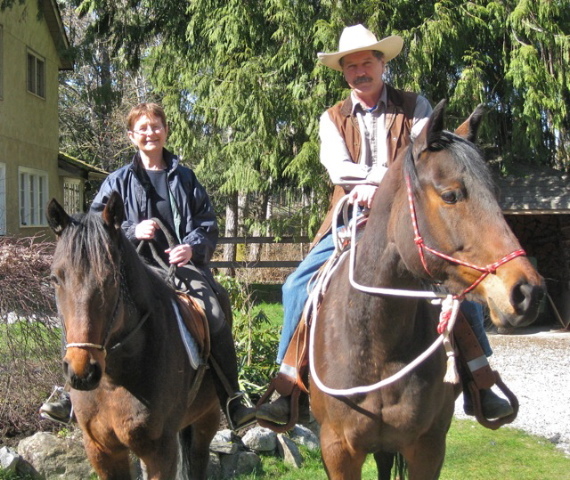 Paul and I on our two horses: Sunshine and Lexi. Sunshine has pretty much claimed Paul (they suit each other so well) and Lexi is my girl! 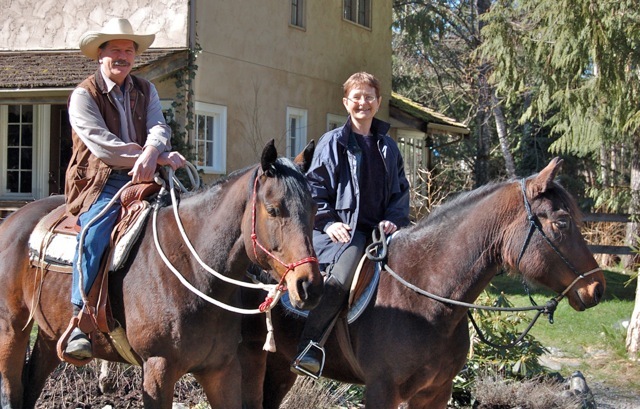 The best animals always "happen" to you and of course, there is a story attached to each horse. Once again Paul on Sunshine and myself on Lexi. 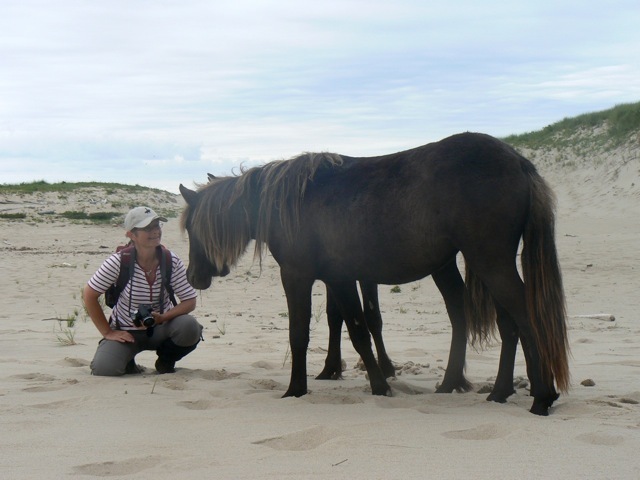 On Sable Island the wild horses there are so curious! If you aren't aggressive, they will eventually overcome their fear and curiosity will get the better of them. 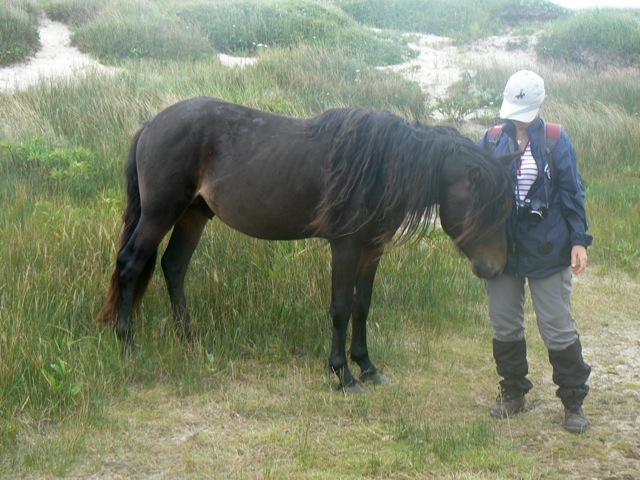 "Boyfriend" and me on Sable Island. I formed a relationship with this young stallion and feel honored that he would approach and allow me to touch him. Imagine being given the gift of touching a wild animal...amazing.